Free-standing gas fireplace in living room. Nice floor plan for a family. 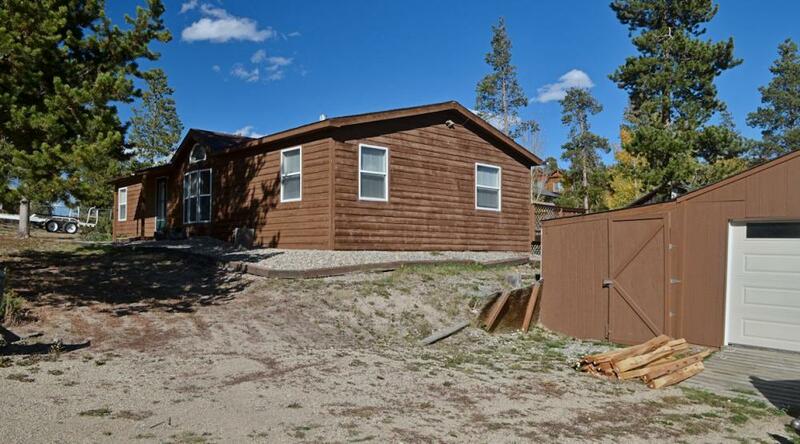 Affordable 3 bedroom, 2 bath home with storage building and fenced back yard, midway between Grand Lake and Granby.